This product is used for people who already have MFS Student Workbooks and just require the Answer Form for the exam. Great for bookstores or organizations that need to purchase exams within a fiscal budget year and do training later. Please note: Trainers will still need to order their exam booklets separately. What is this? The Exam Answer form is for students who are completing the Managing Food Safety Training Program certification exam. This is for paper exams only (this is not required for online exams). Students fill in their name and contact information and then record the answer to each exam question on the Exam Answer form. Their trainer then collects the completed forms and returns them to the Food Safety Market administration offices for marking. Who should purchase this? 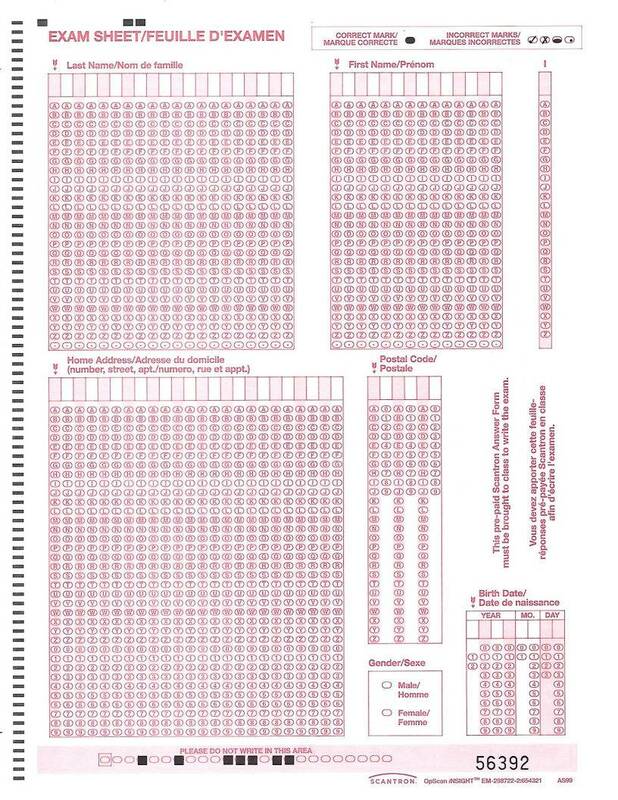 Certified trainers should purchase this Exam Answer form for their students. This includes private trainers, college and university instructors or corporate trainers. You can also purchase the form packaged with the Managing Food Safety Student Workbook (purchasing them separately is slightly more expensive). Students taking the Managing Food Safety program at school can also purchase the answer form for their courses. Check with your school's bookstore as they may carry it as well. Important note: Trainers will have to order the exam booklets separately.